Tutoring can be a very competitive job market. There are a lot of people out there applying for the same position as you, so it’s important that you have a resume that is tailored to the market and that shows off your strengths, education, and skills. 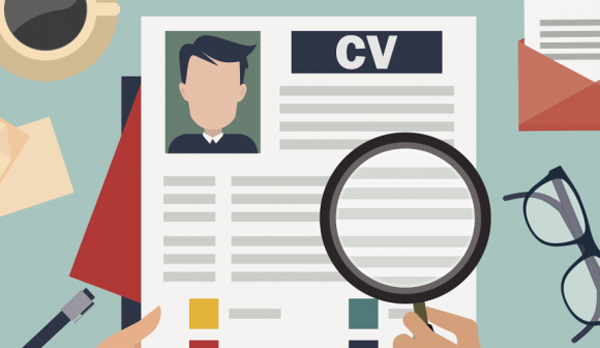 Use this guide to help you write a tutor resume that will stand out. Before you do anything else, consider your audience, that is, who will be receiving and reviewing your resume. Are you applying to an academy where many subjects are covered? If so then you will be creating a more generalized version of your resume. Or are you applying to work with one student who requires tutoring in a specific area, in which case you will want to make your resume applicable to that subject. Once you know your audience you can begin to write a resume that will appeal to what they are looking for. Begin with your basic information, including a professional looking email address. If you have any social media associated with your tutoring then you can include that. Just make sure that it’s relevant. While you may write a great fantasy football blog, it’s just not good idea to put it on your resume. Make sure any social media you include does not contain any inappropriate or unprofessional content. Also make sure that your spelling and grammar are correct; there’s no quicker way to defeat yourself than having a typo on your tutor resume. You spent a lot of time and money earning that degree so make sure to maximize it on your resume. One common mistake people make in this section is being too brief. You can really make yourself stand out if you include your impressive GPA and any awards you earned while at university. Also make sure to include your major and minor as they are relevant. No one wants math tutoring from a fine arts major. Including these important details will not only differentiate you from the crowd, but you’ll also avoid people passing you over because of your suspiciously vague resume. The way you approach this section will differ depending on your level of experience. If you have little to no experience then try using websites such as Fiverr, StudyPool, or SchoolSolver to get some experience (at a lower rate) to build up your resume. If you’ve got some experience under your belt then the big thing to remember is, as with your education, to include details. Include things like which courses you have tutored, positive feedback you have received from clients, and statistics on how you have raised clients’ grade averages. The most important thing when it comes to your skills section is to tailor them to the job you are applying for. Your excellent proofreading and editing skills will be very applicable if you are applying for an English tutoring position, less so if you’ll be helping a student with math. When it comes to helping a student with their coursework, your area of expertise is extremely relevant so make it clear on your resume that you have the knowledge they are looking for. Some skill sets are more universal. If you have good research skills then make sure to include that because research papers are the bane of many students’ existence. The important thing is to know what you’re applying for and make your resume as specific for that position as possible. -Taught essential aspects of writing a paper; coming up with a thesis, making an argument, writing a conclusion, etc. -Aided student in improving her grade from a B to an A. This entry was posted in Tips and tagged competitive job market, Tutor Resume Sample, tutoring. Cater’s rule #1 – consider the audience of your resume, that is, who will be receiving and reviewing your resume. Wow This is really helpful, I am looking for a tutoring job and this example will definitely help me for building an impressive resume. Well Done. Its really helpful.